Chinese New Year celebration begins on January 23rd – which is the night of the New Moon. The Chinese calendar is Lunar based as opposed to the Solar calendar we use in the West. Gung Hay Fat Choy as we welcome the year of the Water Dragon. They have some wonderful traditions during the two weeks leading up to New Years. You can read more about these traditions, Feng Shui and Chinese astrology – on my teacher’s website, Feng Shui Master Marlyna Los FengShuiConsulting.info. 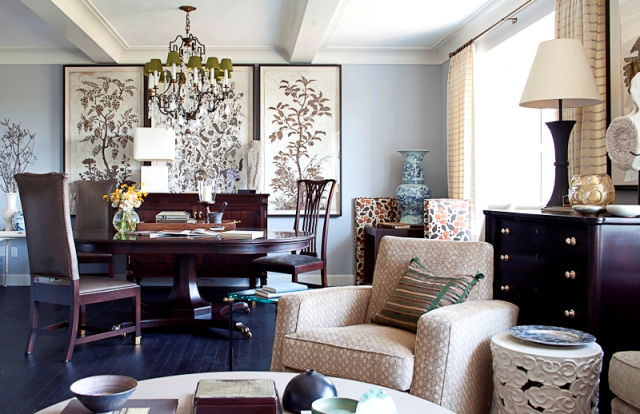 The Chinese black panels and black laquered coffee table are 5* pieces in this elegant room. The pair of gorgeous black cabinets are the focal point at the back of the room and really elevate the feel of this space. The unique red arch is prominently displayed above the mantle, with additional Chinese influence in this room from the sculptures and cushions. 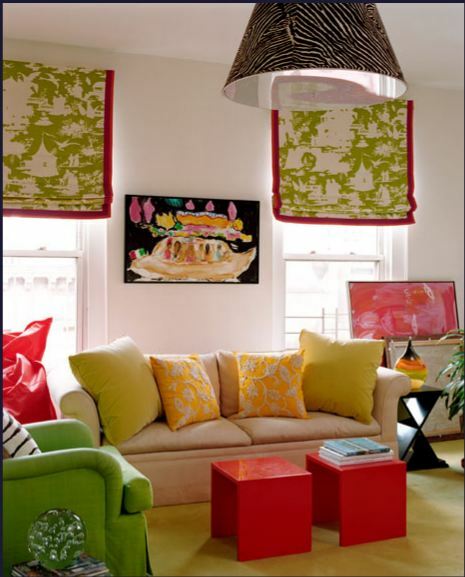 Vibrant and fun, the Chinoiserie fabric on the blinds was the jumping off point for everything in this room by Amanda Nisbet. What an intriguing mix! Don’t you just want to meet the people who live here and find out about their travels? Great accessories on the table and the garden stool. 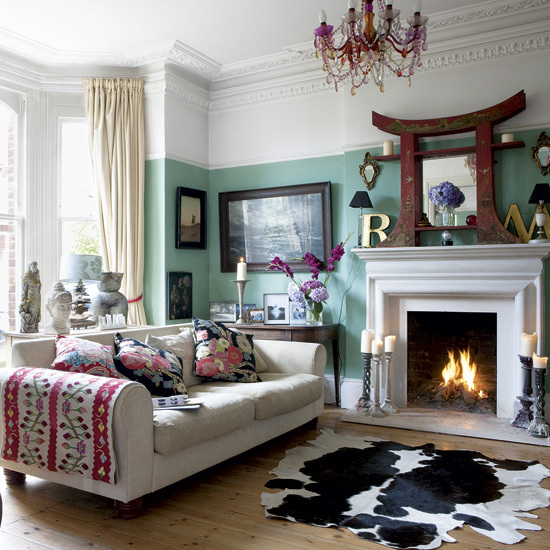 This room is rich and layered with the mix of the Chinese cabinet, screen and coffee table with the other antiques. Variety makes this room so interesting and it is all brought together with the colour palette of Chinese red with the black and cream. How about that gorgeous wallpaper!! My name is Sue Womersley and I am an Interior Decorator in Vancouver BC, Canada. 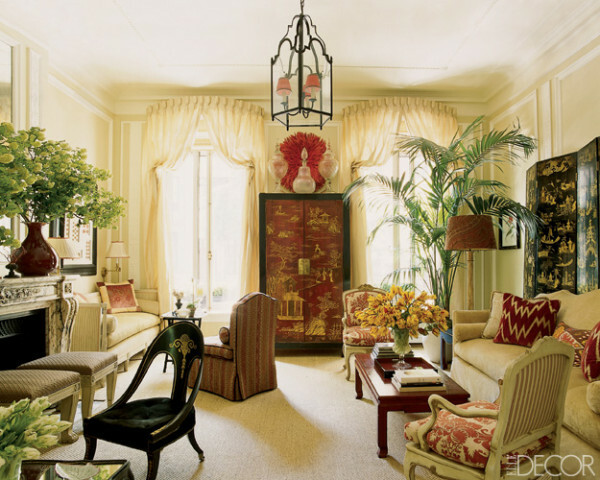 What an awesome collection of rooms…..I love them all! Gung Hay Fat Choy to my fellow Rooster!